Color - Volume - Moisture - Comfort with the new IsaDora Lip Desire sculpting lipstick -3.3gm ! A creamy yet weightless lipstick that adds extra dimensions and volume to your lips. It gives you a full color release with a creamy luminous finish and soft comfortable wear all day long. Sculpted lipstick tip for easy lining and definition of the lip contour. Full color release with a creamy luminous finish and soft comfortable wear. Explore the entire range of Lipstick available on Nykaa. 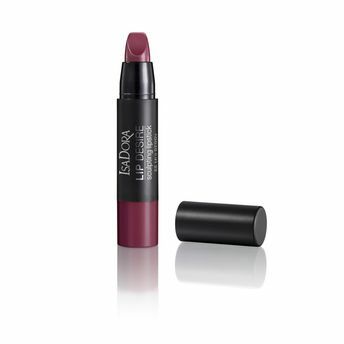 Shop more IsaDora products here.You can browse through the complete world of IsaDora Lipstick .Alternatively, you can also find many more products from the IsaDora Lip Desire Sculpting Lipstick range.